The Kushlan 600 Direct Drive Mixer is filled with features that make this rugged mixer affordable yet ideal for the do-it-yourselfer and professional alike. 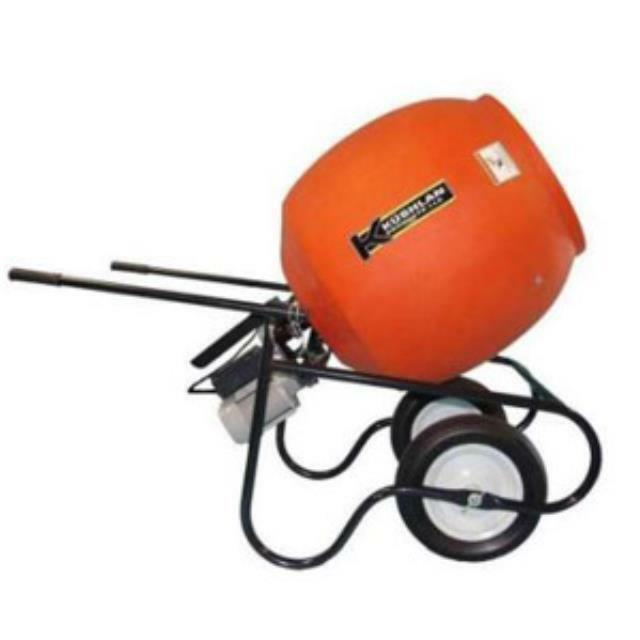 This wheelbarrow mixer is supported by a heavy gauge steel frame and polyurethane flat free tires. * Please call us with any questions about our 6cuft cement mixer in Hammond LA.